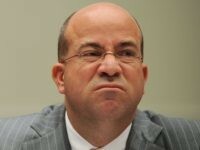 CNN’s Brian Stelter blames CNN’s two-week ratings collapse on the fact “there hasn’t been much news” since Sunday’s release of the Mueller Report findings. Ratings for Monday’s Emmy Award show collapsed by ten percent compared to 2017, which was already an all-time low. Michelle Wolf’s Netflix series has been cancelled after only ten episodes and the left is bummed. Just as the Catholic Church committed slow-motion suicide by trying to please everyone, so too have the Academy Awards. 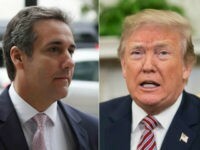 CNN’s Cuomo Prime Time landed in way last place in the ratings Tuesday, the night the far-left network broadcast audio of a conversation between President Trump and his former attorney Michael Cohen. 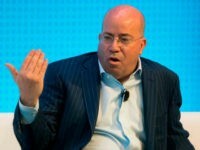 Far-left cable channel CNN suffered a massive ratings collapse in May. 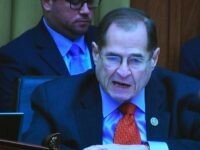 June is shaping up to be worse, with a primetime audience drop exceeding 30 percent compared to this same week last year. 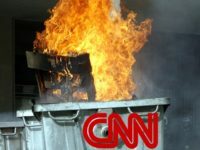 CNN’s ongoing ratings crisis has now reached the point where the far-left anti-Trump channel was unable to place a single show in the top 25 throughout the month of May. 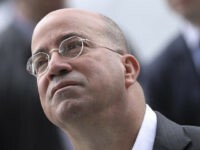 After years of misleading its audience with fake news, 35 percent of CNN’s primetime audience up and left when compared to this same week last year. 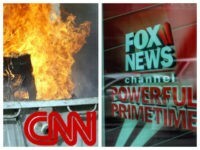 These viewers might have gone over to Fox News, where the primetime audience jumped by +9 percent. 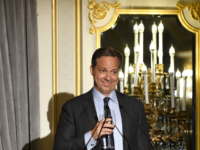 Throughout all of May last year, CNN’s Jake Tapper averaged 1.091 million total viewers and 304,000 viewers in the advertiser-coveted 25-54 age demo. So far, this year, through the 16th of May those numbers have cratered by nearly a third. 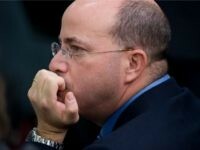 With week two of May 2018 now in the books, we find that CNN’s ratings have collapsed even further, close to -30 percent in total viewers and an astonishing -35 percent in demo viewers. Far-left CNN’s highest rated show, Anderson Cooper 360, came in a humiliating 24th for April, behind every single program on Fox News that airs after 6 a.m. 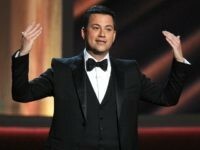 According to TV By the Numbers, so far this season Jimmy Kimmel Live has averaged only a measly 2.31 million viewers. That is it — 2.31 million total viewers. In a country of 330 million, that is less than one percent. 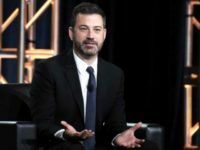 Statistically speaking, Kimmel’s viewership is a big fat zero. 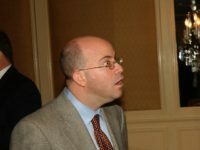 With the first quarter of 2018 behind us, the ratings show that CNN is already having a humiliating year. Not a single CNN program cracked the top 20 in cable news, and only two CNN programs managed to squeak out a million average total viewers. 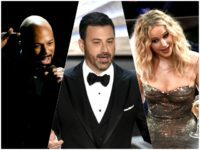 Obviously still rattled by President Trump mocking his record-low Oscar viewership, a defensive Jimmy Kimmel blamed Netflix for the ratings catastrophe. 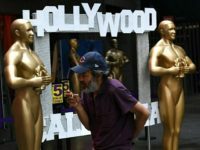 Although one write-up after another in the far-left entertainment media gushed over the Oscars as being ‘inclusive’ and ‘diverse,’ nothing could be further from the truth. Dangerously hitching NBC’s star to Megyn Kelly’s wagon, NBC will reportedly name her new morning show Megyn Kelly Today. NBC’s newest talent Megyn Kelly’s first three shows have failed to beat reruns of 60 Minutes, and television executives are already reportedly wondering if NBC is going to cancel Kelly’s Sunday newsmagazine show after the football season.